The world’s biggest burger-and-fries chain just opened a new location in France, and it serves neither of those things. 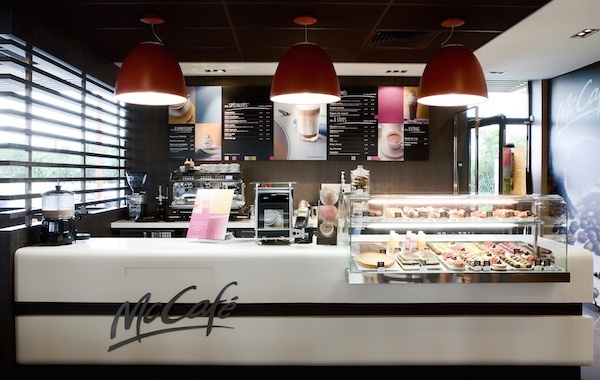 Paris’s newest McCafe instead serves club sandwiches, salads, soup, and other typical cafe fare, reports Le Figaro, with nary a McNugget in sight. Open all day from 7:30 a.m. to 10 p.m., it serves coffee with beans that are freshly ground to order, and aside from the McCafe moniker, Le Figaro says there’s nothing else to indicate that the restaurant is part of the ubiquitous fast-food chain. This is an excerpt from this full article posted on Eater.com.